Countries, states, and provinces around the world often select symbolic things to represent their place and these are often considered typical for that region. The US has the bald eagle as their symbolic country bird, and New Jersey (in US) has the oak as their state tree. Each province ('landskap') in Sweden has a province plant, for example the white waterlily is the 'landskapsblomma' (province flower) of the Södermanland. The same Swedish province also has a selected a moss (hart's-tongue thyme-moss), an animal (osprey), a fish (bream), a mushroom (black trumpet mushroom), an insect (the striped shield bug), and a rock ( special type of gneiss). Many states in the United States have also selected foods, vegetables, animals, arts, fossils, insects, festivals, holidays as their special state symbols (see list here). Sometimes this misses the mark, when selected species or objects do not really fit into their category based on biological or other definitions. In this blogpost series I will present a few of these cases. Unfortunately for Maine, the selected state flower in 1895, the white pine (Pinus strobus), do not have flowers. It doesn't belong to the flowering plants, instead it is a conifer. 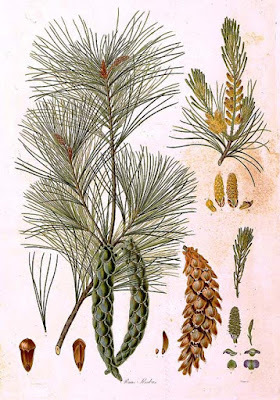 Conifers don't have carpels and they don't produce fruits, and they don't have sepals, petals, ovaries, or stamens. Instead the ovules are places on bracts in short whorls (this is the female strobilus, which will become a pine cone), and the male parts that shed immense amounts of pollen in the spring, are on separate male strobili that look like little dusters (sometimes called tassels). Other types of conifers are cedars, redwoods, and ginkgos. Luckily for Maine, the white pine is also the state tree since 1945, and that is botanically correct. Conclusion: The state flower of Maine isn't a flower. The eastern white pine is still a gorgeous tree. 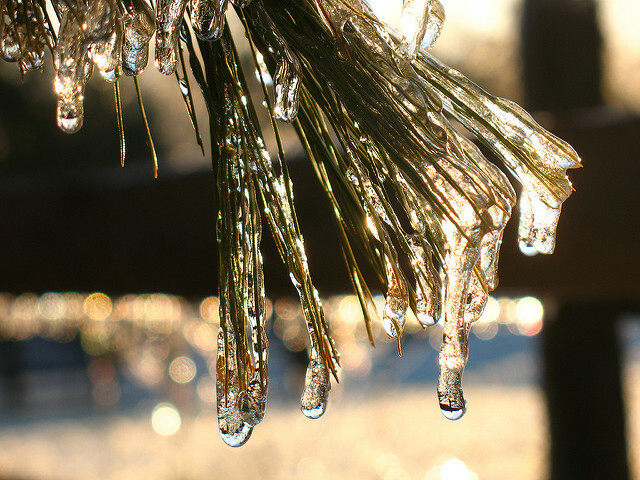 Iced pine needles on Pinus strobus, eastern white pine. One of many pages in the LUSH catalogue, listing the ingredients to their products according to the INCI database. 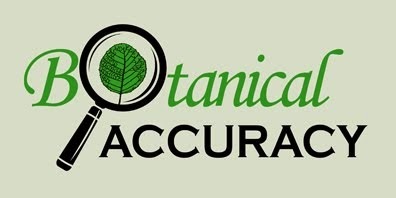 Photo by BotanicalAccuracy.com. All skincare ingredients follow the standardized INCI database naming system, so that all ingredients follow a particular format and have a standardized name. INCI is managed by the Personal Products Care Council who are in the process of updating scientific names that have become outdated or changed. 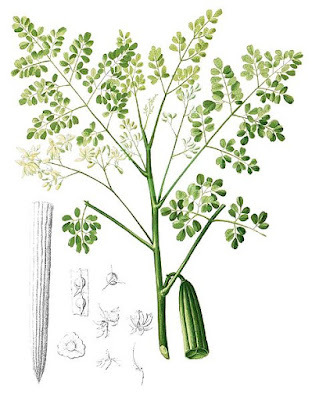 One of the names I found was MORINGA OIL (MORINGA PTERYGOSPERMA) from the medicinal moringa plant in the family Moringaceae, not too distant from the cabbage family (Brassicaceae). Drumstick tree (Moringa oleifera) from Francisco Manuel Blanco's (1880-1883?) Flora de Filipinas, Public Domain. "The summary of this story is that Moringa pterygosperma is a superfluous name for Moringa oleifera. It is the result of an oversight of an ambitious 18th century botanist who was working himself to exhaustion in a race against blindness. Whatever the cause, there is no reason at all ever to use the name Moringa pterygosperma. " So, this means that every label on a skincare product that currently lists Moringa pterygosperma as an ingredient, should change that scientific name to Moringa oleifera. This will take some time to change, but this is how scientific progress looks like in biodiversity and speciation studies. And don't buy Moringa pterygosperma thinking it is a better product than something with Moringa oleifera - the two names are the same thing.